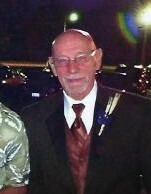 Don James Sikon, 70, of Elyria, passed away Friday March 29, 2019 at his residence, after a brave two year battle with cancer. Loving Father of, Kimberly Taylor, Monica Silva (Joe), Michelle Bodnar and Greg Bodnar (Patty); Devoted Grandfather of four; Dear Brother of Jeannette Schwind, Andrea Twardy and Mark Sikon; Companion to Annette Mick; Beloved Son of the Late Jeannette (nee Danszczak) and Andrew Sikon. The family will receive friends on Wednesday April 3, 2019 from 4 to 8pm at the Liston Funeral Home, 36403 Center Ridge Rd., (at Stoney Ridge Rd. ), North Ridgeville. The Funeral Service will be Thursday April 4, 2019 at 10am at the funeral home. Rev. Chuck Behrens will officiate. Burial will be at Butternut Ridge Cemetery in Eaton Township.